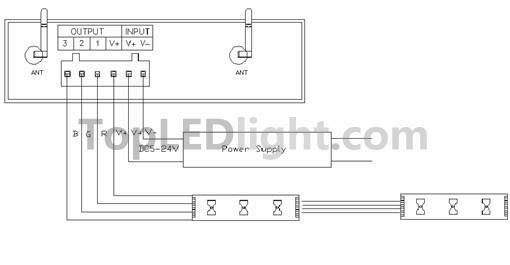 It is the core of product, is responsible for receiving control signal and controlling LED equipment. WF400 is another wifi controller independently developed by our company, following our WF100, compared with WF100, WF400 is more powerful, and more flexible to use, when using, you do not need to switch wireless networks, it is more convenient to be on internet. You can choose encrypt network, can also open network. It’s more convenient for you to choose wireless network with WiFiManager network management software, WF400 network configuration. Combined our independently developed mobile software Touchhome with controller, this makes the function of WF400 more better than WF100. 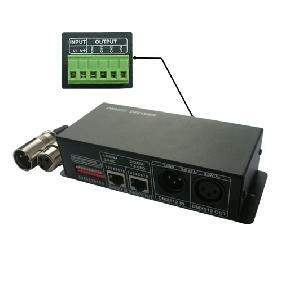 Supporting the use of software with WF400, it can achieve single point control and group control, in addition, it includes some features, such as re-name of controller, set the location, timing control and other function. This makes the function of WF400 more powerful. Trough the use of WIFI technology, it provides more comfortable, safer and more convenient intelligent lighting control than traditional lighting control, optimizes the lighting control methods, which brings a new, comfortable lighting environment to users. 2. Runtime platform: Android system (iphone, ipad), equipment must have WiFi function. Understand the function of each interface on the controller, its basic usage and wiring. Refer to the controller interface instructions. 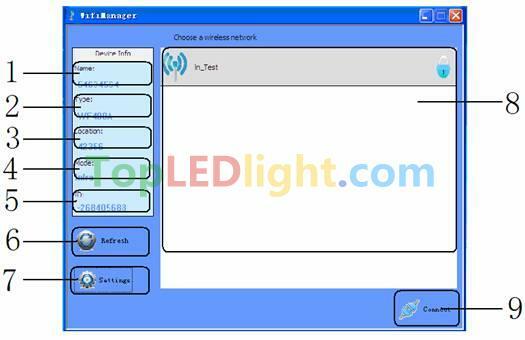 Through WiFiManager, you can configure various parameters of the controller, including the name, location, network, time, output type and so on, facilitate user to recognize and control. Refer to WiFiManager instructions. Understand specific wiring of controller and installation requirements. Refer to hardware installation instructions of controller. Describes specific use of touch remote control. Refer to remote control instructions. Brief description control method of mobile phone. Refer to TouchHome instructions. 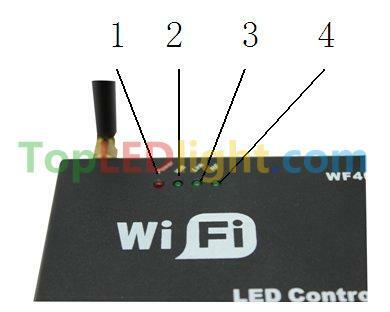 Communction interface that should be connected with computer, works with WIFIManager software, it is used for configuring the controller parameters, including working mode, WIFI network, the name of controller, controller location, output type, read the device serial number, etc. you can use touch remote to control the controller properly. WiFiManager setup software is connected with controller through host USB. It mainly used to modify the network configuration of the controller, select wireless network, switch network mode, modify properties, such as the controller’s name, location, type and so on. 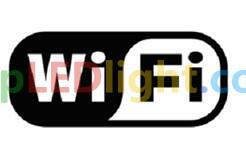 User can flexibly choose the wireless network, modify the information of controller. Remove the disc include with the controller into disc drive. Open the disc and find “WiFiManager.exe” to install software. Open WiFiManager, it appears interface as shown below (figure 3.1): buttons of window are gray, this is because the controller is not connected. After connecting the controller through USB cable, it will appear the interface as shown in figure 3.2. Then you can operate the controller. output type of current connected controllers, select the appropriate output type according to user’s lighting type, it can be set to three output types: three-channel, two-channel, single-channel. It can be modified in the settings. Serial number of current connected controller, it can not be modified. Search available wireless networks. The results of searching will display on the area “8”, this is all currently available networks. Connected to the currently selected network. Click “connect” to join the current network, if the network is encrypted, it will prompt you to enter your password, if it is not, it will connected to this network directly. Adhoc: Ad hoc network, you do not need to connect with an external router, use mobile phone to control the controllers directly. Under Adhoc mode, you can set SSID, under Infra mode, it is invalid. Encrypted network: support encryption such as WEP64/WEP128/TKI/AES etc. WF400C: single color lamps; single-channel. User can set the name of controller according to their needs (up to 32 characters), this makes the controller more humane. Set the location of controller (up to 32 characters). 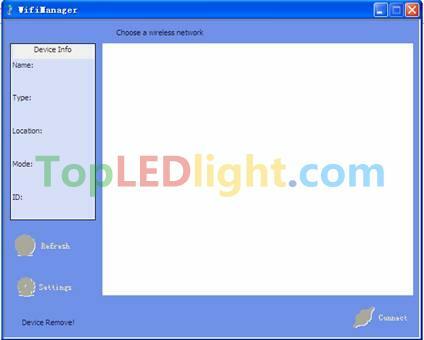 User can set specific location according to their arrangement, facilitate users to identify the location of lamps. User can select the appropriate channel according to the needs, generally it can be set to Auto. 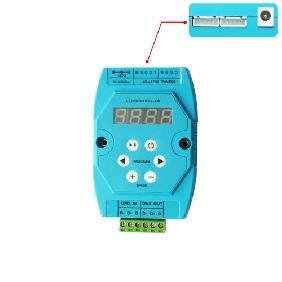 The controller time should synchronize with computer to ensure that the timer works properly. Cancel: cancel the operation, the setting will be canceled. ①mode increase key, so when the current control mode is pulley mode(color), if it need to realize the mode(color) in controller, can press this button. ②mode switch key, so when the current control mode is M key mode, can switch the regulation mode(color) in M+ key mode table. ①mode minus key, so when the current control mode is pulley mode(color), if it need to realize the mode(color) in controller, can press this button. ②mode switch key, so when the current control mode is M key mode, can switch the regulation mode(color) in M- key mode table. 9. 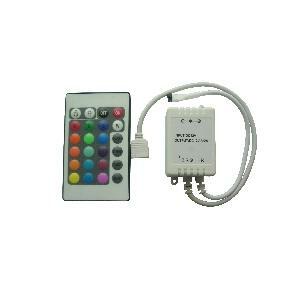 Color pulley touch button, static mode choose key, up to 55 touch points. ①pulley static color choose button, so when the current control mode is M key mode(color), if need to realize the static color on pulley, can press this button. Stop using remote control for about 15-20s, remote control will automatically enter into standby mode, to extend the battery life for use. Color pulley touch button can not be used at this time, you must firstly click one button to wake up remote touch control, return to work station. 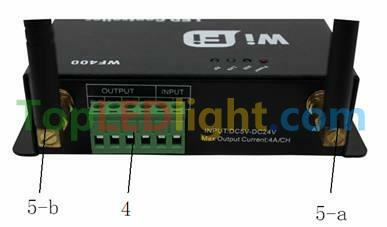 Note: All function of remote control is applicable to WF400A (factory default), that is RGB mode, in WF400B mode, M+, M-, B+, B- is effective, when in WF400C, only M+, M- is effective. TouchHome is the control software that supports the use of controller, it is applicable to a single controller or multiple controllers at the same time. 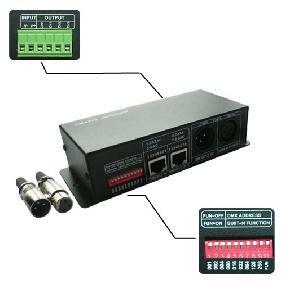 If has multiple controllers, user can carry out group control. The software applies to a variety of our controllers, it will load different control page depending on different controllers to adapt different controllers, facilitate user to operate. The software has features such as timer control, self-defined colors and so on dependingon different controllers, for detailed instructions, please refer to the software manual. Firstly make sure that you have already installed iTunes, if you have not installed, please download the lastest version of iTunes, after installation is complete, search “TouchHome” in application, install the software to your mobile phone or ipad. 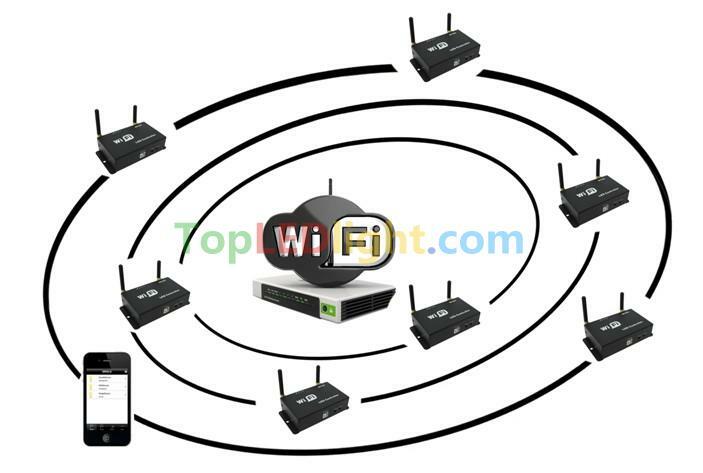 Firstly using WiFiManager software, connect all the controllers to user’s wireless network, then connect the mobile phone with “TouchHome” to the wireless network, search equipments, add the equipments into control list, then you can control the controllers. for detailed instructions, please refer to the software manual. The mode is suitable for RGB strip, it can carry out mode switch, brightness and speed adjustment, self-defined colors and other functions. 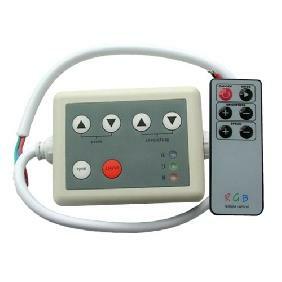 When there are multiple controllers, user can also carry out group control. The mode is suitable for color temperature strip, it can carry out mode switch, brightness and color temperature adjustment. 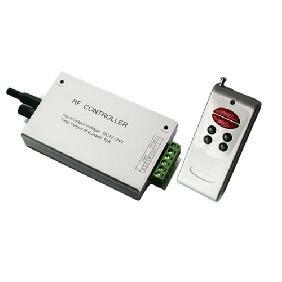 When there are multiple controllers, user can carry out group control, as well as timer control. 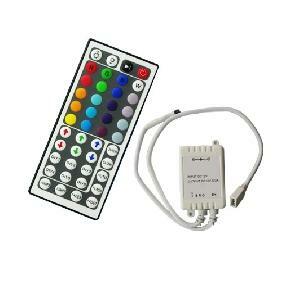 The mode is suitable for single color strip, it can carry out mode switch, brightness adjustment. 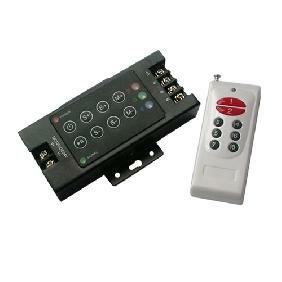 When there are multiple controllers, user can carry out group control, as well as timer control. clockwise install WiFi antenna and anticlockwise take down the antenna. 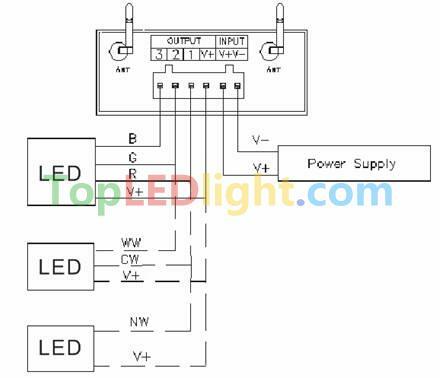 When user’s lamp is RGB type, you need to set the controller type to WF400A through PC software, the output type is RGB, connect the lamp according to above diagram, then you can use it. When user’s lamp is CW type, you need to set the controller type to WF400B through PC software, the output type is CW, connect the lamp according to above diagram, then you can use it. 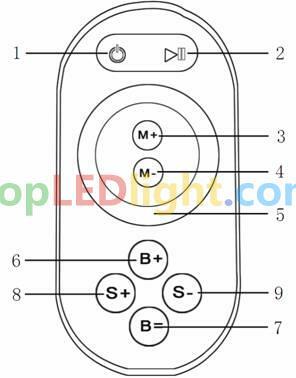 You can select built-in color temperature proportion of controller through the Function button on the controller or M+, M- button on the touch remote control, also can adjust overall brightness through B+, B- on the remote control or control through mobile phone software. 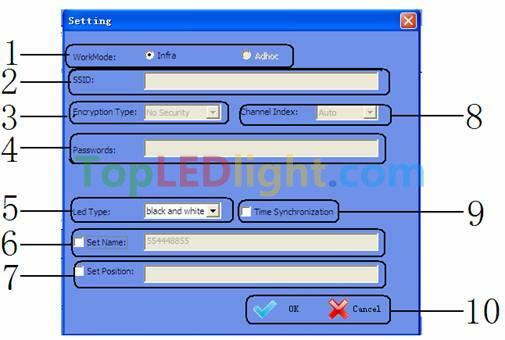 When user’s lamp is single color type, you need to set the controller type to WF400C through PC software, the output type is DIM, connect the lamp according to above diagram, then you can use it. 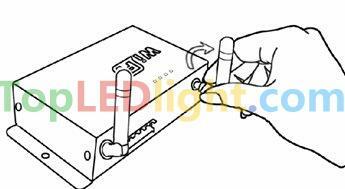 You can select built-in brightness of controller through the Function button on the controller or M+, M- button on the touch remote control or realize dimming steplessly through mobile phone software. When there are multiple controllers in user’s wireless network, the system structure is as shown in figure 8.1. User can control these controllers separately or in group. In a control system, it can accommodate up to more than 250 controllers, about control mode, please refer to “TouchHome” software instructions. 2. In order to reduce the risk of fire disaster and device damage caused by short circuit , please make sure correct connection;. 3. Please do install controller in a well-ventilated area to insure appropriate temperature . 5. Check out whether the supply voltage and power is in the range of controller required or not . 7. Any problem , please do not open the shell of controller . 8. This manual is only applicable to this model of controller, if there is an update without notice. 3. damage caused by transportation, influent; damage caused due to earthquakes, fires, floods and other natural disasters. Nice part, hard to find, from triple A seller, perfect! 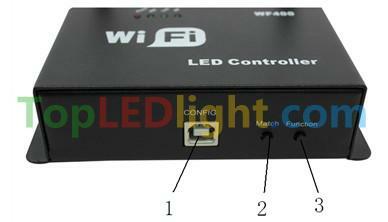 LED WiFi Controller Dimmer RF Touch Remote Control For RGB LED Light DC 5V-24V Rating: 5 out of 5 based on 1 reviews.